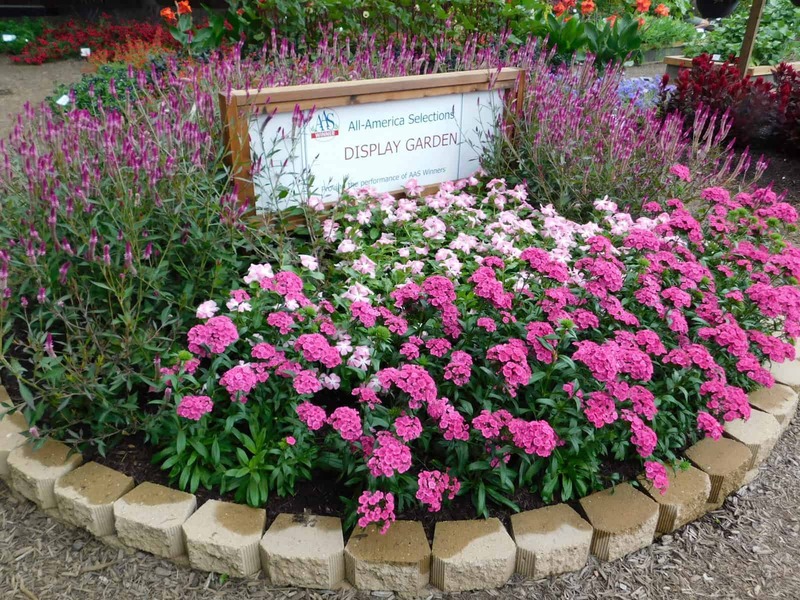 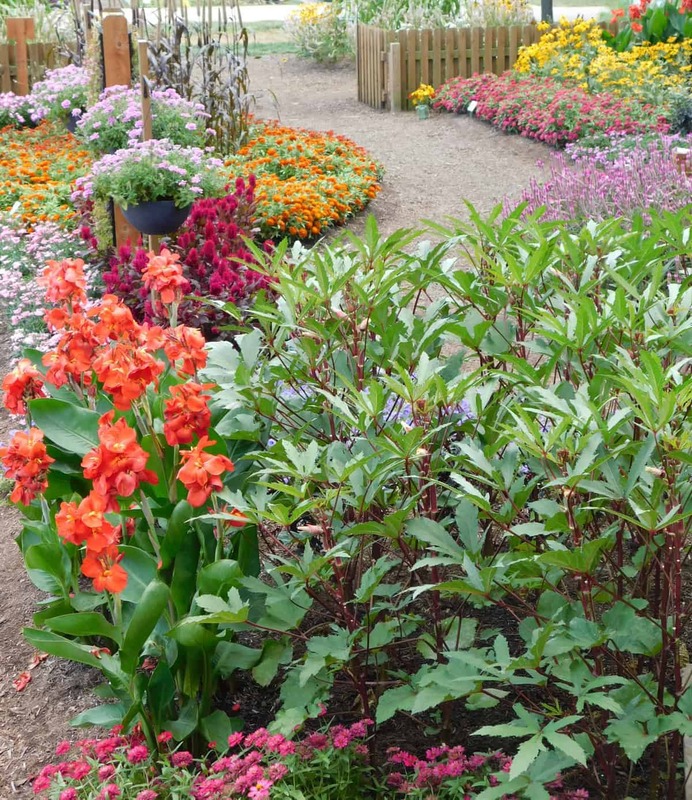 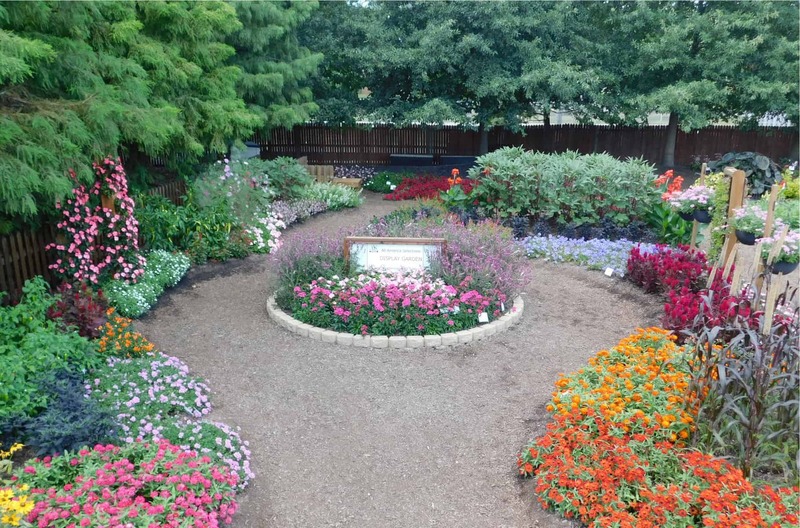 This garden is located on the Indiana state fairgrounds where Master Gardener volunteers interact with 13,000 visitors during the 17-day fair. 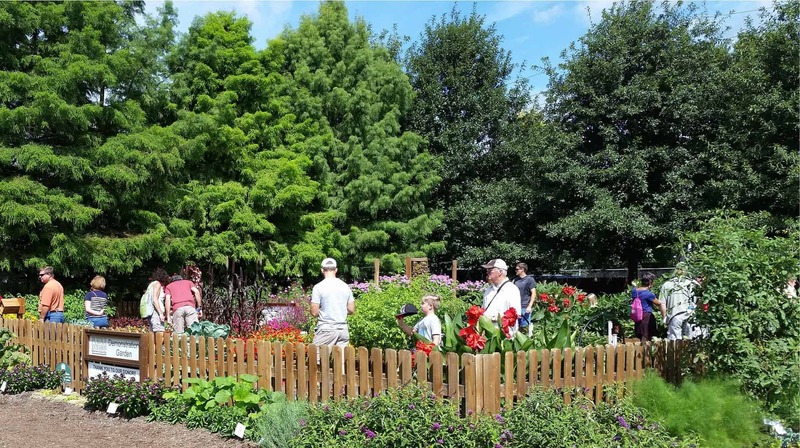 Over 300 visitors participated in the “spin the wheel and find the plant” game for younger gardeners to discover AAS edibles that are suitable for foodscaping. 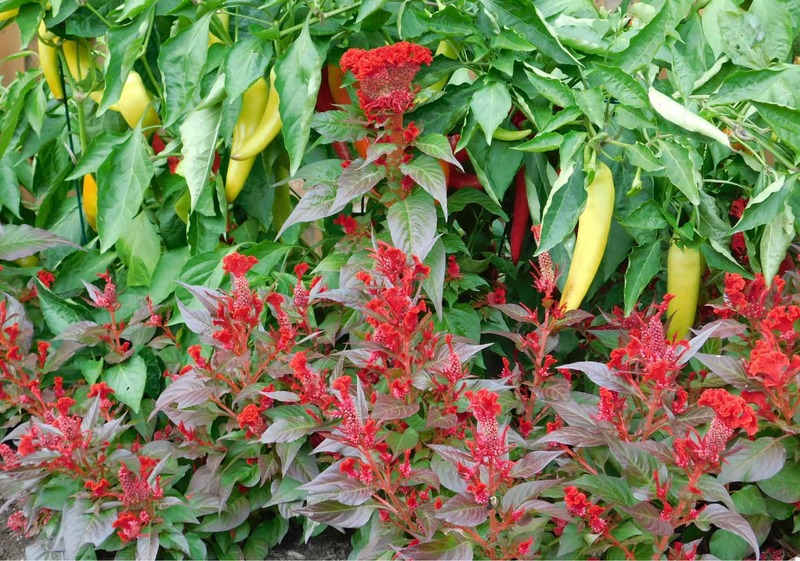 The lush, healthy foodscaping design featured Candle Fire okra, Aji Rico and Hot Sunset peppers (to name a few) in the main ornamental garden. 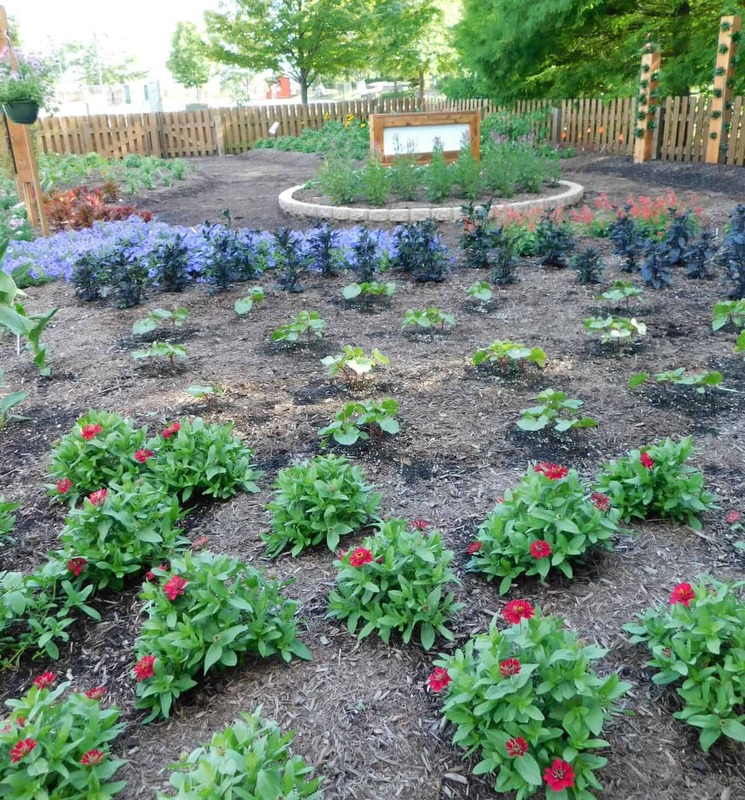 They also used three AAS pumpkin Winners (Pepitas, Super Moon, and Cinderella’s Carriage) as ground cover around a newly planted ornamental tree (genius!). 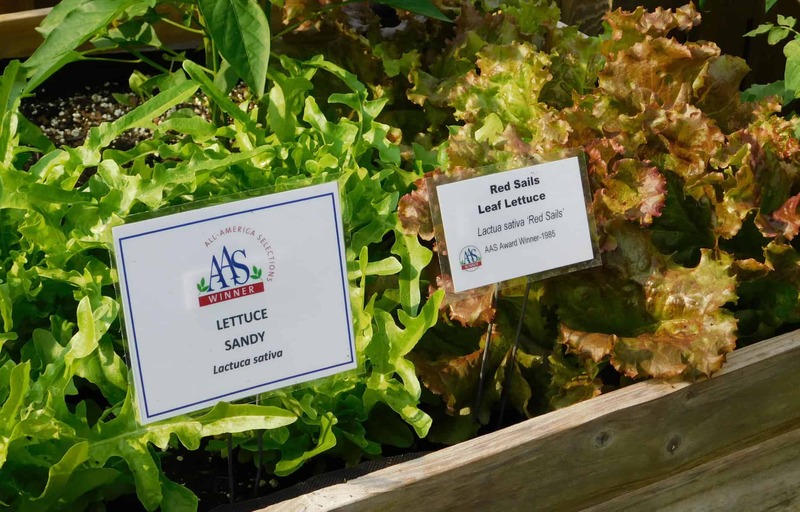 A lunch and learn lecture on the topic of foodscaping further explained the concept featuring AAS edibles in easy take-home messages. 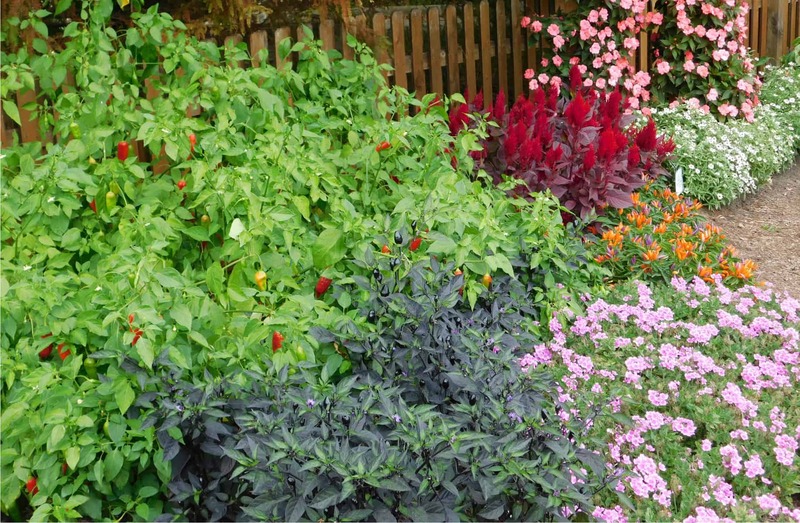 Attractive signage on the concept of foodscaping featuring AAS edibles was also used in and around the garden.